Mimi will kindly watch over your baby so that he/she falls asleep softly. 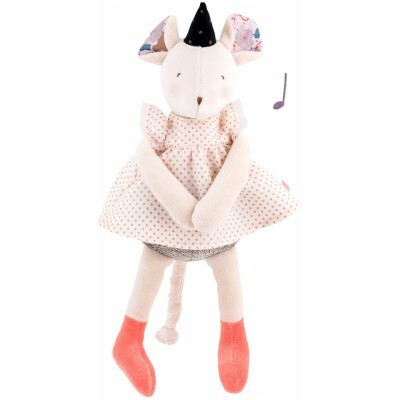 She wears a wizard hat and a polka dot cotton dress. 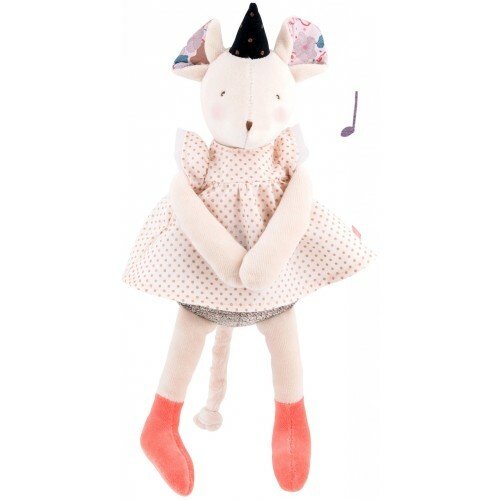 To start the music, just pull on the tail: it runs the cord and as it scrolls, the music rewinds. It helps to soothe your child and to spend a good nap or night.